Collaborators. Challenge-Seekers. Continual Learners. These are a few words that come to mind when we describe the individuals that participate in many of our internships and early careers programs. Summer interns and rotational Co-op iNCRedibles touch real project work, dive into ongoing training and often use the knowledge and experience gained to apply for full-time opportunities. Our innovative rotational program, Graduate Gateway, provides recently graduated employees a unique 2-year experience. During their time in the program, they are immersed in different full-time positions across the enterprise and also given the opportunity to participate in a variety of networking and learning events. The rotational positions in this program sit in various internal teams aligned to Information Systems, Finance, Software, Analytics, Machine Learning, Hardware, Sales, Marketing, Human Resources, and Consulting. The Graduate Gateway initiative enables long-term career growth and an amazing jumpstart to your NCR story. Being a part of these programs means you have the opportunity to contribute to our NCR story and our vision for the future of connected experiences. 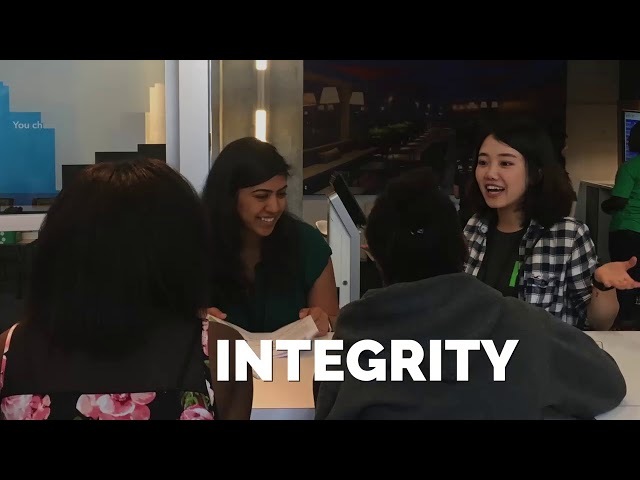 Check out the below video to learn more about our internship program specifically. We’d like to introduce you to Helen. She is an IT Business Analyst located in Duluth, GA and is part of the Graduate Gateway program. Her team supports our supply chain systems which include manufacturing, logistics and fulfillment. Gateway participants like Helen work on projects and programs that challenge them, teach them and help them develop new skills while also making real-world impacts. Learn, grow and propel yourself into an iNCRedible career.